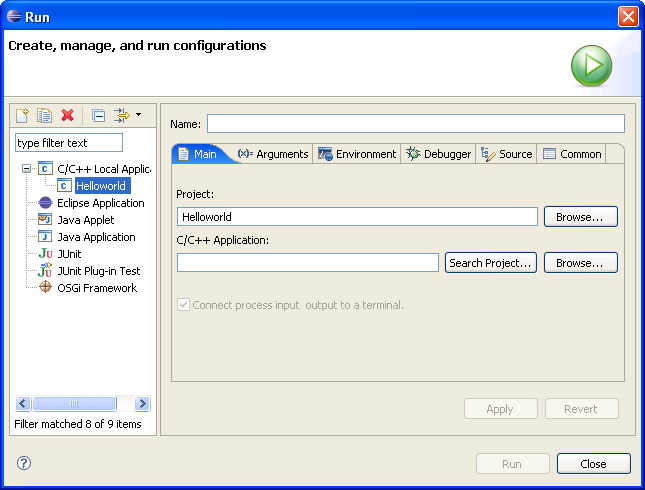 The Main page of the Run dialog box and the Debug dialog box, identifies the project and application you want to run or debug. Project Specifies the name of the project. C/C++ Application Specifies the name of the application. Search Project... Specifies the binary or binaries to run within the project.